John Johnston was named in Crewe's 18-man squad for their trip to Crawley Town this month, but is yet make a first-team appearance. 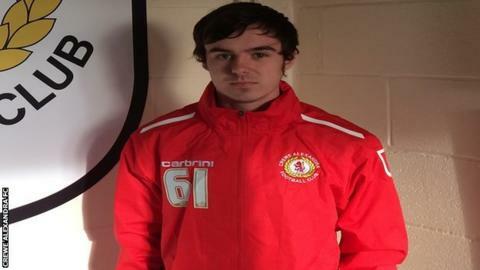 Conference side Alfreton Town have signed winger John Johnston on loan from Crewe Alexandra until 1 January. The 20-year-old has yet to play a first-team game for Crewe since joining from Northern Premier League Division One South side Leek Town in January. Alfreton are third from bottom and are the second-lowest scorers in England's fifth-tier competition. Johnston's arrivals further bolters the Reds' attacking options following Carl Lamb's arrival earlier this month.